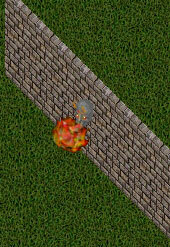 The Ultima Online Rewards program is designed to reward long-term players for loyalty to the UO community. It is EAMythic’s way of thanking you and showing their appreciation for your long-term support of UO, and for your contribution to making UO the most popular virtual world in existence today. Any account created before November 30, 1999 will automatically be credited for all of the time from the date it was created until November 30, 1999. In other words, if you created your account on October 30, 1998, your account would be credited for 13 months of time, regardless of whether your account was inactive during part of that time. Following November 30, 1999, only the months in which you had an active account will contribute to the total count of months qualifying you for rewards. Double click your profile scroll. Scroll to the bottom of the scroll window. A horizontal bar will be at the bottom of the profile text. Your account age in months will be displayed under that line. The account age will display the same value for all characters on the same account. Your account age updates according to how many days your account has been active. It is on a 30-day timer which means that your account ages one month at the start of a new 30-day cycle. This cycle is not in synch with your billing date or any day of the calendar month. It is calculated based on how many days the account is active. Characters that show different ages at the start of the same account’s “birthday” may update throughout the month based on the individual character’s last login time and date. The server caches an individual character’s age and only checks for new information every seven days therefore characters should be updated within seven days of their first login after the accounts “birthday”. Reward eligibility is determined on a per-account basis. Multiple accounts may not be “combined” to increase eligibility. When an Ultima Online account has been active for a total of 12 months you may pick a total of three choices from the 1st year rewards list. When the account has been active for 24 months you receive an additional choice. When the account has been active for 36 months you receive an additional choice. When the account has been active for 48 months you receive an additional choice. When the account has been active for 60 months you receive an additional choice. When an account has been active for 72 months you will receive two vet reward choices (instead of the normal one choice per year), and another two for each additional 12 months in which the account remains active. All reward options are ‘no loot’ and ‘no steal’, and clothing items will never wear out. Players who fit into one or more of these categories will have the option to receive their rewards when they log into the game after attaining a reward level. Rewards are given on a “per account” basis, but may be divided among characters on an account. It is very important to make sure you have logged in on the correct shard before choosing a reward. Game Masters and other EAMythic personnel will not be able to transfer rewards from one shard to another. For example, a player who has a 12 month old account may choose to accept two rewards with a character on one shard, and may choose the remaining reward with a different character on another shard. The option to collect rewards will appear each time you log in to the game until you have chosen the total awards for which you are eligible. If you make a rewards program selection during a final backup or before a server crash, the system may not have adequate time to save your choice. When the shard returns to service, it may take a few minutes for the server to recognize that you have not gotten your reward. The system will account for this however, and after a few minutes you will be able to select a reward. Veteran Rewards that come in the form of Deeds are LOST if they are in-place (not in deed form), when a house collapses from non-payment of the account. Dropping a house manually, via the sign context menu, will USUALLY return deed-type items (rewards, crafted, and holiday/game anniversary gifts) to deed form, but there are sometimes issues where one or more deeded items go missing when left in place during an manual house drop. There is also the matter that any passers-by will be able to steal the deed off the ground, if the deed drops to the ground as a result of house demolition. Reducing a house to a foundation will usually move all deed-type add-ons, including veteran rewards, to the moving crate, after returning them to deed form. As with manual house demolition, there are occasional issues where items disappear, instead of being returned to a deed, so it is suggested that all such items be taken down beforehand. Veteran reward titles may be applied to your character through the ‘titles menu’ in the ‘subtitle’ section and appear over your character’s head. Using normal dyes on this tub (double-clicking the dyes then targeting the special dye-tub) will bring up a menu listing special colors not available through a normal dye-tub. After selecting a color, the dye-tub will then have that hue. 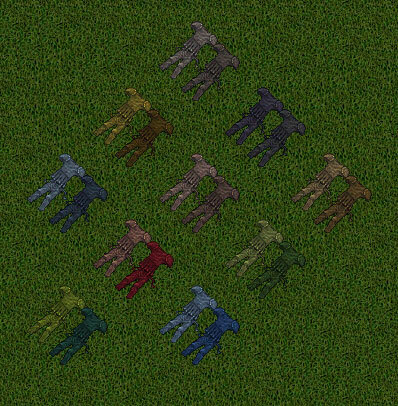 Double-clicking the dye tub and targeting an article of clothing will dye that clothing the special color. See this picture for the available colors for this tub. Teleports players and any accompanying followers directly to a bank or moongate by speaking a vocal command. The Bank’s vocal command is “city name + mint”. Detailed instructions are available by double-clicking the crystal. The crystal must be locked down to work. Only players with proper housing permissions are able to use it. The usual teleportation restriction rules are applicable (no dragging items or overweight characters). All accompanying followers will be transported, including npc escorts or hirelings, unbonded pets and non-bondable constructs. Teleports players and any accompanying followers directly to a dungeon by speaking a vocal command. The vocal command is “dungeon + dungeon name”. Appears as a statue in your backpack. Double clicking the statue will cause the statue to disappear and create the mount and you will automatically mount it. Once on the mount, double clicking yourself will dismount you and automatically transform the mount back into the statue which will reappear in your backpack immediately. Ethereal mounts never lose loyalty and can’t be transferred. The mount can never appear without being mounted, therefore it cannot attack or be attacked. 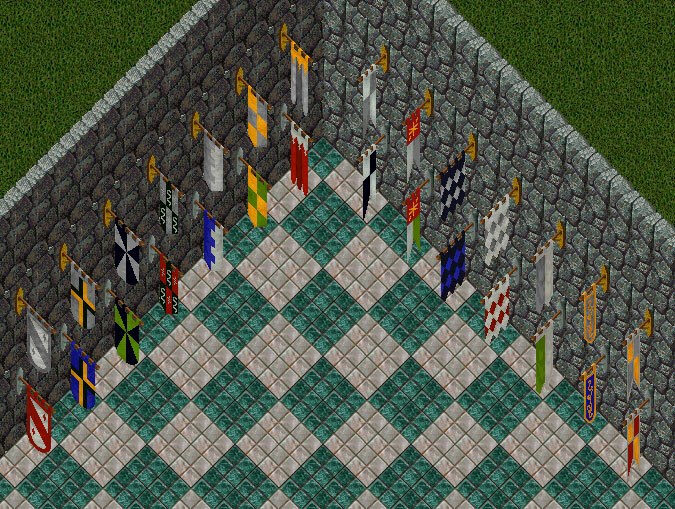 Banners can be placed in houses and have areas that can be dyed using a dye-tub. When selecting a banner as your reward, you will receive a banner deed. To place the banner, double-click the deed. A targeting cursor will appear. Targeting a wall inside a house will place the banner on that wall. The banner cannot be picked up once placed. To remove the banner, the owner or co-owner of the house can double-click the banner. After clicking the confirmation window, the banner will be removed and a banner deed will be placed in the character’s backpack. Using a dye-tub on a banner will dye portions of the banner. 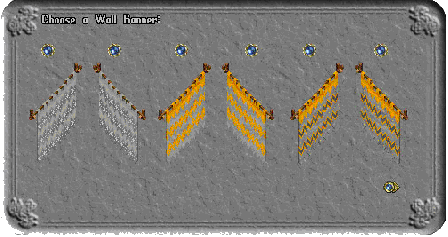 Each banner has a different area that can be dyed. See this picture for the available banners. The flaming skull is a house decoration that can be placed on the walls of a house. When selecting a flaming skull as a reward, you will receive a skull deed. To place the skull, double-click the deed. A targeting cursor will appear. wall. The skull cannot be picked up once placed. window, the skull will be removed and a skull deed will be placed in the character’s backpack. The leather dye-tub can be used to dye leather or studded leather armor. (copper, shadow, etc.) with the addition of some other hues such reds, blues, greens, etc. 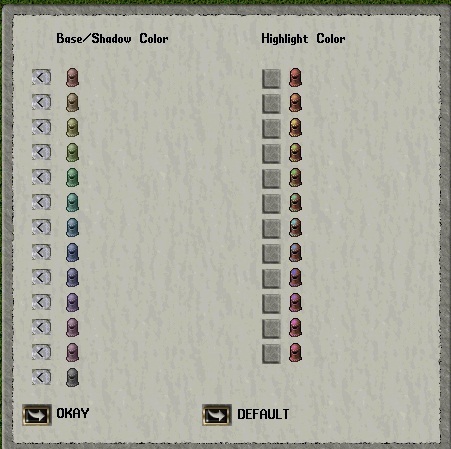 Double-clicking the dye tub and targeting a piece of leather or studded leather armor will dye that clothing the color. 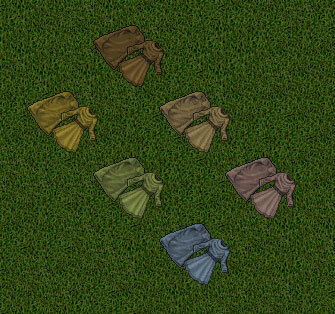 Hides unravelled from dyed leather armor retain the dyed color. However these hides will not become dyed leather armor if crafted. Any of the 12 – 23 month reward listed above. Comes in a deed. When used, a random potted cactus from 6 available types will be placed in the player’s backpack. Any of the 12 – 23 or 23 – 35 month rewards listed above. When the account has been active for 48 months its player receives one additional choice (totaling 6 choices), and that new choice (or any previously unused choices) may be from the 1st, 2nd, 3rd or 4th year lists. Transparent hue (similar to the hue of previous rewards sets, but with light grey highlights). Double-clicking the statue will cause the statue to disappear and create the mount and you will automatically mount it. Once on the mount, double-clicking yourself will dismount you and automatically transform the mount back into the statue which will reappear in your backpack immediately. The mount can never appear without being mounted; therefore it cannot attack or be attacked. Ownership of these ethereal mounts will only be limited by account age and not by character gender; male or female characters may use ethereal unicorns, and male or female characters may use ethereal kirin. These mounts will not have any special abilities normally associated with the “live” versions of these creatures. Seed Box – This box will identify all seeds put into the box, it will hold and organize up to 500 seeds. Any of the 12 – 23, 23 – 35, or 36 – 48 month rewards listed. When the account has been active for 60 months its player receives one additional choice (totaling 7 choices), and that hew choice (or any previously unused choices) may be from the 1st, 2nd, 3rd, 4th or 5th year lists. 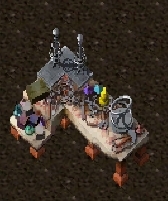 Players will be able to use this dye tub to color their Vet Reward statues from a selection of hues. sets, but with light grey highlights). Ownership of these ethereal mounts will be limited by account age. 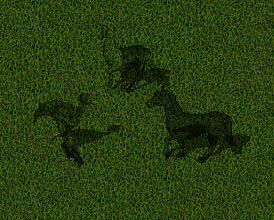 These mounts will not have any special abilities normally associated with the “live” versions of these creatures. These Ankh decorations will be able to be placed in houses. Owners will be able to select the facing of the Ankh. Any of the 12 – 23, 23 – 35, 36 – 48 or 60+ month rewards listed. When an account has been active for 72 months its player will receive two vet reward choices (instead of the normal one choice), and another two for each additional 12 months which the account remains active. When re-deeded, you can choose to restore the previous statue. This lets you move statues after they are created. Any of the previous rewards listed. When it runs out of charges, it can be recharged using a full keg of explosion potions. Lesser kegs give 5, regular give 10, and greater give 15 additional charges. 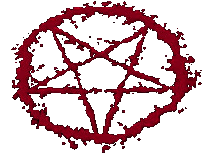 When used, the deed offers a choice between the four stumps. All players with “friend” or higher security access can collect the resources. Sheep Statue – This statue is a resource giver, it will give you 10 pieces of a random hide or wool. This caps at 100 resources so make sure you collect your items. 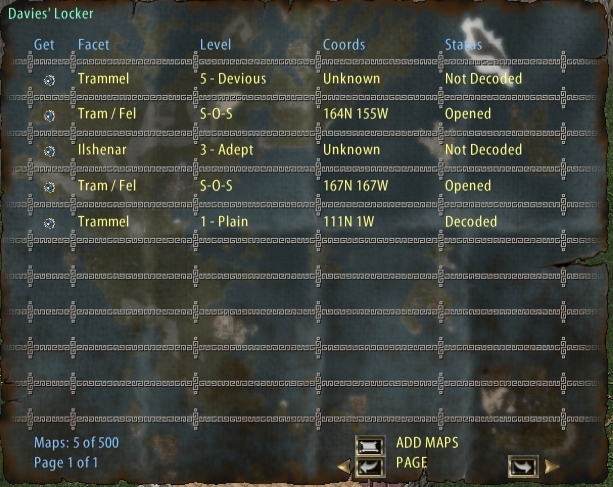 The contents gump can be seen here, only maps that have been decoded show a location, in degrees, but not minutes. The deed is only usable by 9 year old vets in a house they own or are co-owned to. The skull and cross bones will give 1 random Treasure chest map each week. The Rose Rug will give one random seed each week. The Dolphin will give one random MIB each week. This Ethereal Mount only usable by 11 year veteran accounts. Can be used to set rideable Polar bear or Charger of the fallen to transparent or restore them to solid. This Ethereal Mount only usable by 12 year veteran accounts. A set of 2 placeable house teleporter tiles which allows characters to teleport within the same house or inside another house where the 2nd teleporter has been placed. Cross-facet teleportation will work as long as the character is allowed on that facet. Only the owner or co-owner of each house can place the teleporters and can set the security level on them. These must be locked down or secured inside a house to be functional. They can be used and placed by anyone regardless of age. The character must meet lockdown permission of the origin teleporter. The character must have house access permission of the destination home. The character may not be flagged criminal or in the heat of battle. The character must meet facet restrictions (flagged criminal, young player, or expansion entitlement). The character must meet teleport restrictions (no dragging items or overweight characters). This decorative item can be used with your house decoration tool to position on any wall. This item comes as a set in a pouch. To access the containers, stand near the door of the shed and double-click it. How many rewards will I get? *Note 1: The skill cap increase for 1st – 4th year Veterans is an automatic bonus reward, and will not count against the choices available for any given year. How do I claim the 1st- through 4th-year skill cap increase? How many characters of mine can I give the increased skill cap to? You won’t need to do anything to claim the increase to your skill point cap. After every 12 months which your account remains active, every single character created on that account will have the increased skill cap, and you will see this simply by logging in your characters. This will also affect characters previously created – you will not need to create a new character to gain the increased skill cap. Can I choose rewards on different shards? Rewards are allocated per account, but they do not have to be selected on the same shard. Rewards will not be transferable between shards once chosen, though, and will count towards your total, so be sure to select them on a shard you regularly play! Are rewards given on a per character basis? Rewards are allocated per account, not per character or per shard, so be sure to choose rewards on your regular playing shard, and not on a separate shard. Rewards will not be transferable between shards once chosen, except by means of placing it on a character being transferred between shards with a shard transfer token (for those shards where transfers are possible). My account was hacked, or my rewards were stolen/disappeared. Can I choose new ones? The database records how many rewards were taken by each account, and these are the numbers we must go by. The total number of rewards available is determined by how many rewards that account has accepted in the past, not how many is in their possession at the time. I bought this account, and there were no rewards on it! Can I still choose rewards? Buyers are responsible for verifying that what they are buying is what is advertised. The number of rewards taken on an account will not be wiped when an account is transferred, so it is the responsibility of the buyer to ensure that the rewards chosen are either still in the character’s inventory, or that the previous owner did not choose all the rewards they were eligible to receive. The total number of rewards available is determined by how many rewards that account has accepted in the past, not how many is in their possession at the time. How do I figure out my account age? For information on determining account age, see http://www.uoherald.com/guide/guide.php?guideId=238. If your account age listed is incorrect, please contact support at http://www.uoherald.com/support.php. Do I have to choose all my rewards at once, or will I be given an option to choose more the next time I log in? You do not have to choose them all at once. The gump will reappear each time you log in, on all shards, until you have chosen the number of rewards you are eligible to receive. Will the rewards gump appear every time I log in? Yes, the gump will reappear each time you log in, on all shards, until you have chosen the number of rewards you are eligible to receive. Do I have to choose a choice from each specific year, or can I choose between the levels however I want? Players can choose from any level that they are eligible to receive. For example, one-year veterans can choose only from the one-year rewards. Two-year veterans may choose from all one-year rewards, all two-year rewards, or a couple of each, and so on, and so forth. Are different levels of rewards worth more in reward choices? No. For example, a two-year veteran may choose four one-year rewards or four two-year rewards. The level of reward chosen does not affect the total number of choices available. count toward the total number of rewards available? No. If rewards are chosen on a Test Shard, they will not count toward your final total of rewards chosen. came out, can I get more rewards now? All rewards that have been chosen so far will be counted in the totals, meaning that players will not be allowed to choose new rewards until they are eligible to receive more than they have already taken. For example, a three-year veteran is currently eligible to choose five rewards. If a player has already chosen seven, then that player will not be eligible to choose another reward until they have reached their six-year veteran status, when they would be eligible for eight total reward choices. For the Shield Transfer tokens, it is specified that loaded pack animals will not transfer. What about a tamer’s pets in the stable (of necessity unloaded) and/or following? Can I choose the same rewards year after year? Can I choose two of the same reward in any given year?